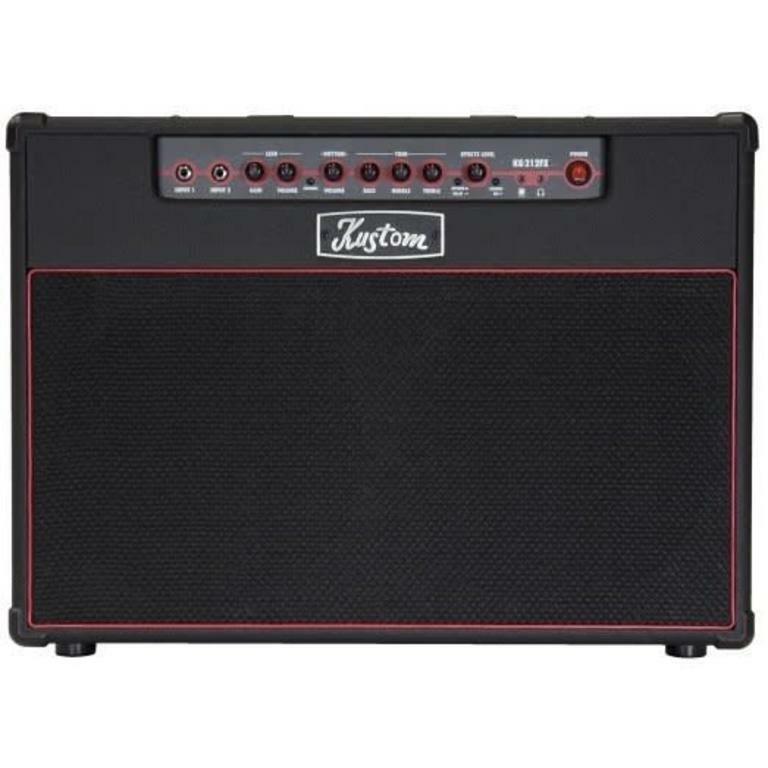 30-watt guitar combo with 2 - 12" speakers, 2 channels, reverb, delay, and chorus effects. 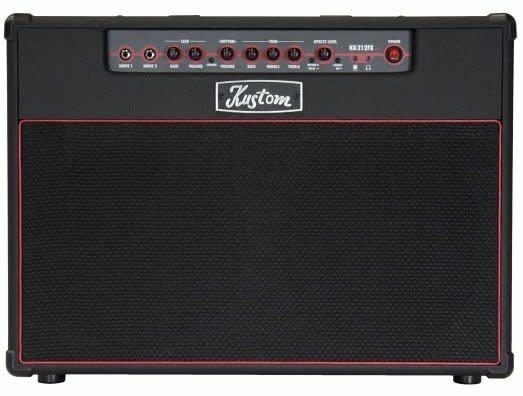 The 30W Kustom KG212FX combo guitar amp boasts a Rhythm channel that offers clear dynamic tones that are perfect for a wide variety of musical styles. Using the Gain control, the Lead channel dishes out anything from chunky classic rock sounds to the heaviest, modern metal tones out there. Separate Bass, Middle, and Treble controls let players fine-tune the KG212FX amp's tonal response as required. In addition, the KG212FX combo is equipped with built-in reverb, delay, and chorus effects that activate on the Kustom amp's front panel. Reverb can provide anything from subtle room ambiance to an all-out wash of cavernous sound. Delay is perfect for fattening up lead tones, especially when combined with distortion. Chorus adds a shimmering, liquid-like quality to the sound, especially with chords. Like every Kustom KG amplifier, the KG212FX offers an auxiliary input for plugging in an MP3 or CD player to practice along with tunes and an 1/8" headphone input that silences the internal speaker for late-night playing. Your family and neighbors will love it. An Effects Loop with Send and Return jacks provides flexibility for integrating external effects and processors.